Birding Is Fun! : It's Time for Sparrows! 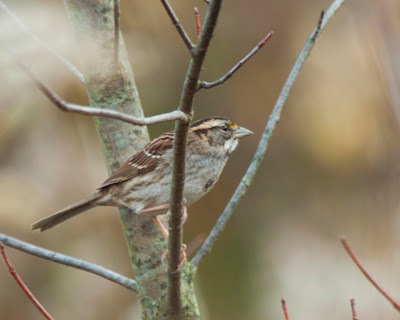 With the warblers pretty much gone from Indiana and the leaves turning wonderful colors, the start of sparrow season is upon us here in central Indiana. Over the past couple weeks, I have been birding all over my area trying to find as many sparrow species as I can and it has turned out pretty well. I have been birding mostly with my brother and we have managed to find 14 species of sparrows since October 1! Many of the sparrows have been extremely cooperative for photos as well! Although this was taken in Minnesota during the Focus on Diversity Conference, I have seen this species here in Indiana this October. White-throated Sparrows are one of the most common sparrows during the fall and winter in Indiana. We also found a few other nice birds in addition to the sparrows. Both Pine Siskins and Purple Finches have arrived in huge numbers here. Even though the warbler numbers are down, we have been finding more Orange-crowned Warblers in the last few weeks! 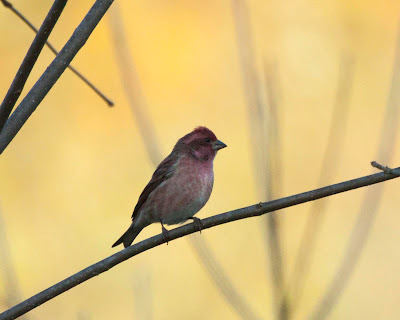 A Purple Finch at a new park that we explored on the far west side of Indianapolis. Have you been finding a lot of sparrows around you? I know that many people have a lot of trouble identifying the sparrows and many birders get so frustrated that they just ignore them all completely! We have been working on some article on my blog, NuttyBirder.com, to help people with this problem. The first post in a long series of sparrow identification posts is currently up so be sure to follow along as we work our way through sparrow id! The post can be found here. I enjoyed your sparrow photos and purple finch too. No sparrows where I live; I guess the larger birds bullied them out of sight long ago. Thanks Carole! Hopefully some sparrows will stop by for you soon! They do tend to be pretty flush-y! Glad they let you get some great photos! Waiting for Harris' to show up here! Thanks! We have been hoping to find a Harris's here too but no luck yet! Love Sparrow season. There's nothing more autumny than picking sparrows out of dried grassy fields. Not Thanksgiving, not pumpkin flavored ales, nothin.. It is definitely a fun time of year! 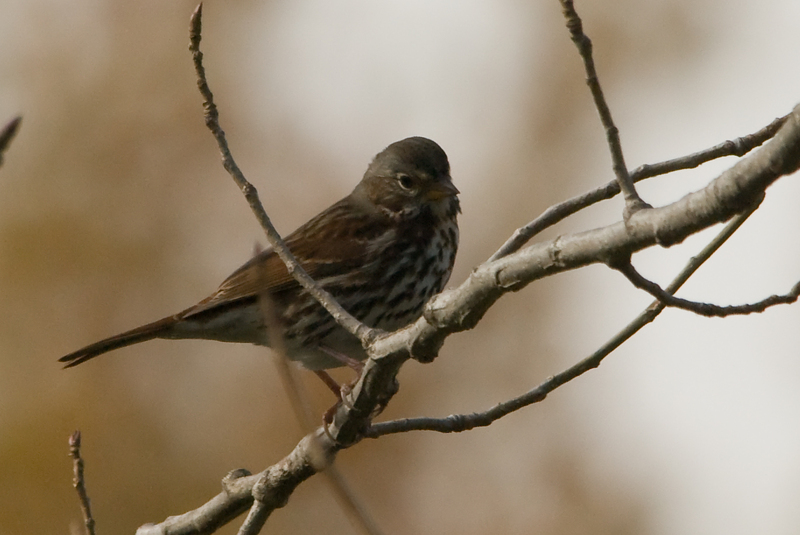 They can definitely cause birders all kinds of identification problems but I think they are pretty fun to ID! We're starting to see them in FL. 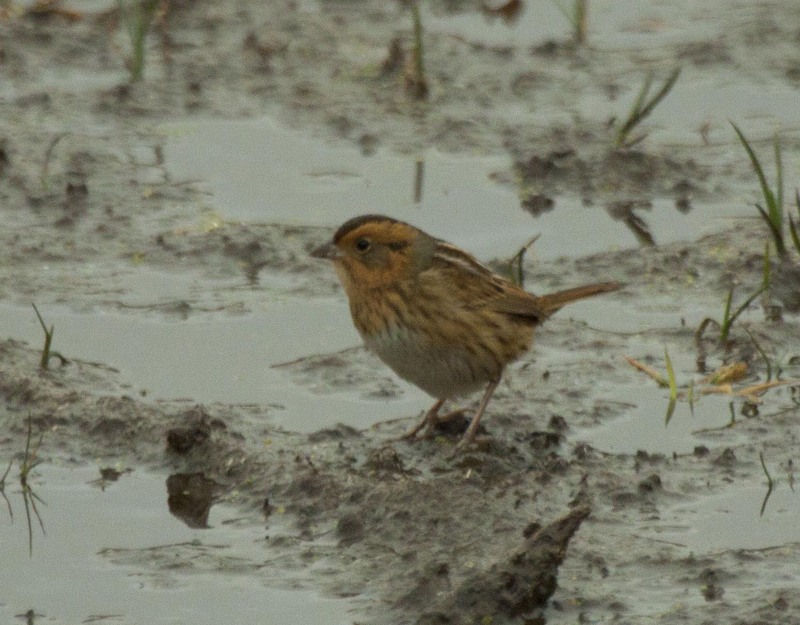 I had a couple Swamp Sparrows earlier this week and a Clay-colored Sparrow a couple weeks ago. Can't wait for more to come through. Nice post! Thanks Scott! I'm sure they will be on their way to Florida soon. So far we have missed Clay-colored here but I hope to find one before the end of the month! Thanks Kelly! We really need to find a time to meet up and do some birding. Maybe Corky could come along too! The white-crowned sparrows are returning to Tucson and I am starting to see them everywhere. I am still waiting to see the returning juncos and others. I still have so much to learn about identifying them so I plan on checking out your blogpost as well! Thanks Katie! 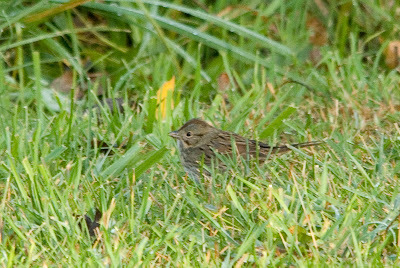 We will have several sparrow id posts up soon. We are working on them now! Wow, 14 species of sparrows in the month of October is quite something! I've seen lots of White-crowned and White-throated Sparrows this fall. A few Fox and Lincoln's, as well. A couple of Harris's Sparrows have been seen in our area. I've got my fingers crossed that I will have a sighting soon. Wonderful post! Thanks Julie! 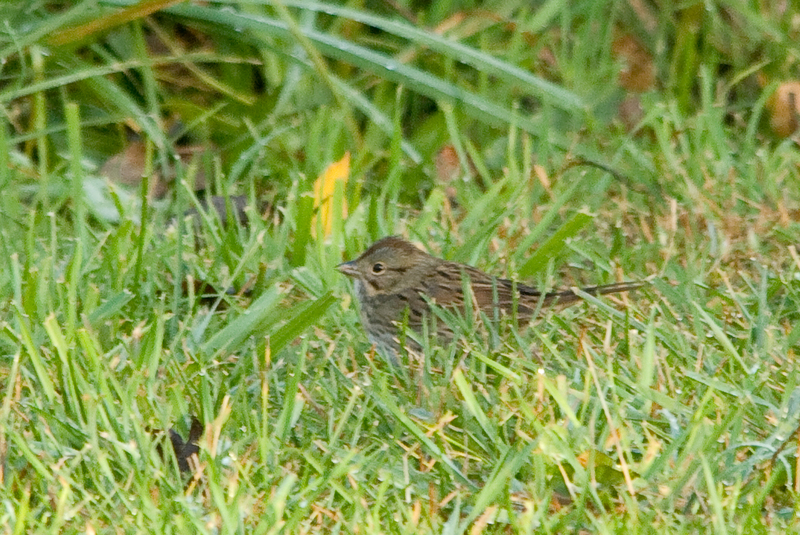 We are still waiting for a Harris's to show up near me but we did add our 15th species today, Henslow's Sparrow!